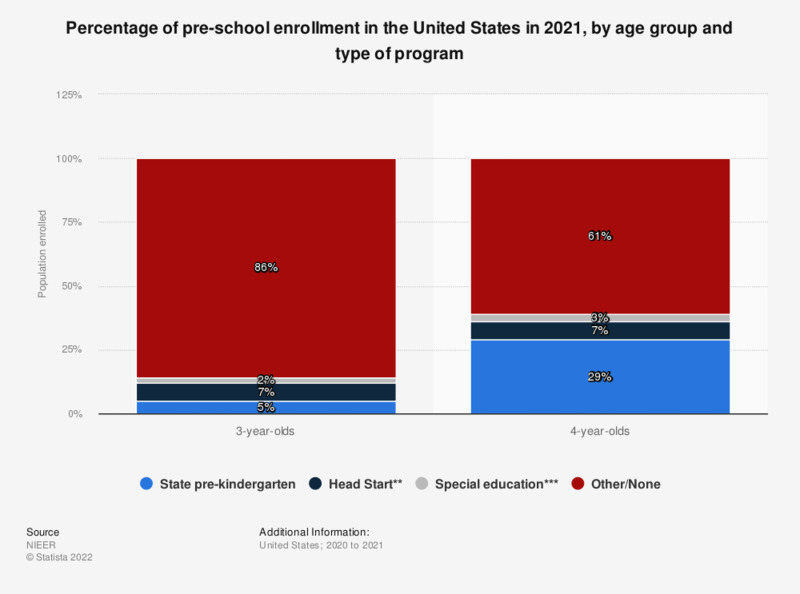 The statistic above provides information on the percentage of pre-school enrollment in the United States in 2017, by age group and type of program. In 2017, about 33 percent of the 4-year-olds were enrolled in the pre-kindergarten, while 8 percent of the 4-year-olds were enrolled in Head Start. Head Start is a federal program that promotes the school readiness of children ages birth to five years from low-income families. * Some Head Start children may also be counted in state pre-K.
** Estimated number of children in special education not enrolled in state-funded pre-K or Head Start.